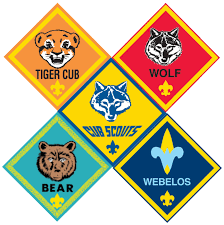 Welcome to the Website of Pack 772! Thank you for your interest in our Pack! If your son is interested in joining our Pack, don't miss the following events! Although the Pack is active year-round, the Cub ranks and activities follow the school calendar. We encourage you to make Cub Scouts part of your back-to-school plans! To learn more about us, please click on "About Us" to find out more about our organzation. Still have questions? Please click on "Contact Us" and a member of the Pack Committee will be in touch with you. You will need a username and password to access the site. To obtain this, please click on "Contact Us" and we will get this to you shortly. A Pack leader can also give you this information in person. Please take some time to review our site, check out the calendar and let us know your thoughts or suggestions!